The Mount Dora Golf Club has been in existence for 60 years. This member owned club is central to the Mount Dora golf experience and is open to the public. 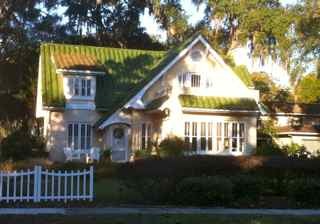 Mount Dora is a special town with a comfortable “Southern” charm and hospitality. This central Florida lakefront community is nestled in gentle hills and orange groves. Its elevation of 184 feet makes it one of the highest communities in Florida, Mount Dora is Florida’s high country It features active shopping, excellent antiquing, a rich cultural life, and recreation. Many festivals and community events attract residents and tourists. The area attracts a very loyal following of visitors (including several U.S. Presidents) and retirees. 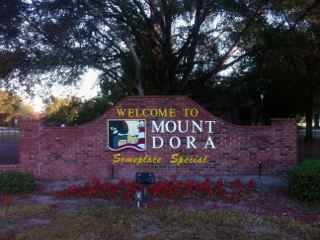 There are active adult communities in Mount Dora (see link at top right). Average home prices soared into the high $200's in 2006, dropped by half, and then climbed again to about $156,000 in late 2014. According to Zillow, the Median Home Value was $211,100 in early 2018. Lakeside homes will be more. Rents range from $500 to over $2500. This old Florida town has long been a winter resort for hunting, fishing, and boating; it is listed in the National Register of Historic Places; The Lakeside Inn has been host to at least 2 U.S. Presidents as well as Henry Ford; Mission Inn Golf & Tennis Resort; Old railroad station; many antique shops and charming inns; people who say they hate Florida probably haven't been to Mount Dora; don't miss Renninger's Antiques Extravaganzas; collectors rave about their prices and selection. Mount Dora is one of the highest elevations in Florida, about 180 feet! It is located in Central Florida. Mount Dora has a rich cultural life. There are 2 theaters - the Ice House Theater and the Mount Dora Center for the Arts. There are many festivals. It has been called the best antiquing town in Florida and the shopping is first rate. There are also several museums. Crime in Mount Dora is just over the national average. Florida Hospital/Waterman is 4 miles away in Eustis. Orlando International is 36 miles (Orlando also has AMTRAK), while Ocala Airport is about 46 miles.